My, Wordsworth, How Your Tree Has Grown! My niece, Tammy, and Wordsworth planted this tree when Wordsworth! Stop the Bulldozer! was released in 2012. Look how much it has grown since then! It is an ohia lehua tree and it makes these very beautiful flowers. Hey Wordsworth the Poet, know what’s missing in this book? A cat. We can be friends, you know. 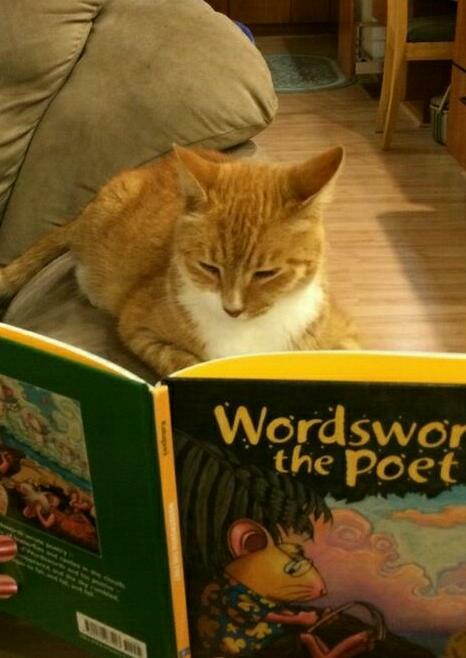 I write poems, too. 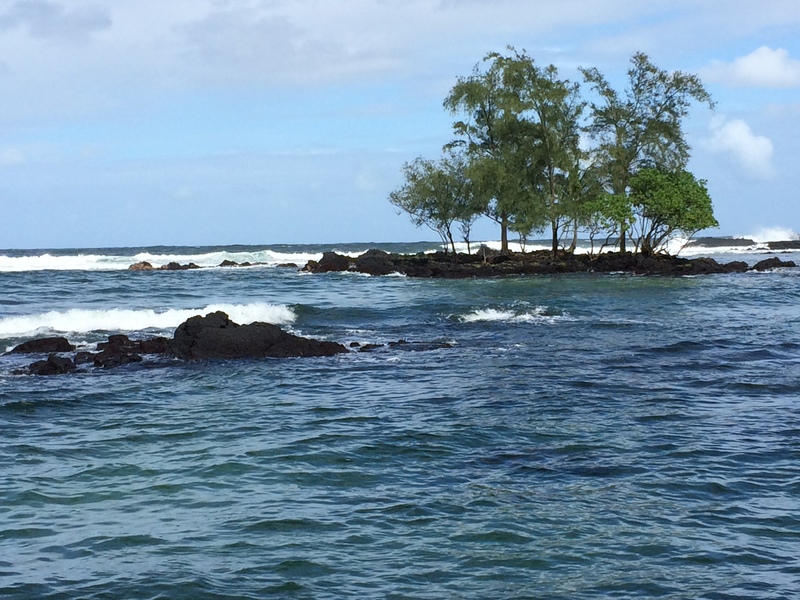 This is the introduction to my April 2016 “Dear Frances” column in The Hawaii Herald. I received the following letter from Dr. Christian Serdahl, a physician in Sacramento. 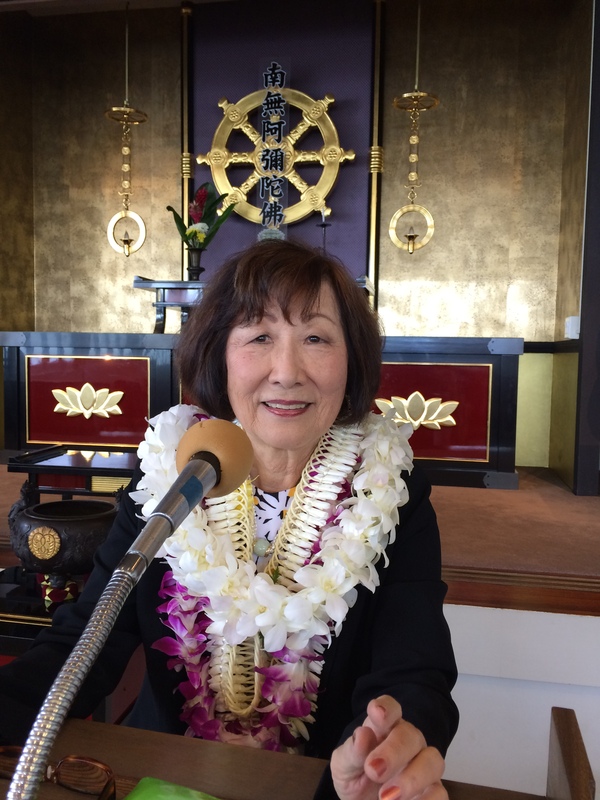 He was responding to my Feb. 5 column in The Hawai‘i Herald titled “Support Group Angels.” In it, I questioned the lack of good medical care for our elders. His letter arrived a day after he read my column. Dr. Serdahl is the first physician to ask me, “What exactly do you say to caregivers to bring compassion into their care?” He sat in his examination room and listened to every word I said. I felt like I had preempted his busy schedule, which I actually had done. Dr. Serdahl has no computers in his examination rooms, choosing, instead, to communicate directly with his patients. “My computers are in another room,” he said. His letter explained why. For Dr. Serdahl’s letter, as well as several poems I’ve written about some of my medical experiences, go to The Hawaii Herald website. My column for them runs at the beginning of each month in the paper, and stays posted on their website. Do you ever wonder about all those “other roads” you have not taken? There’s two I can think of right now among the many. “My men would enjoy teriyaki steaks for a change,” the rancher called with a chuckle, and he offered me the job. At the last minute, I turned into a chicken. I have said no to Paris, Taiwan, New Zealand, Australia, a bicycle ride throughout China among other invitations because timing just didn’t seem right. I wonder what my life would have become, had I taken the road less traveled. Having a drink with Jim and Steve as in Cameron and Spielberg? Having my own Cowboy Cuisine TV show? As the new year unfolds, do we live safe and comfortable or take risks? Do we use the numbers in our age to determine whether we’re too old for that road less traveled? What are some of your regrets? 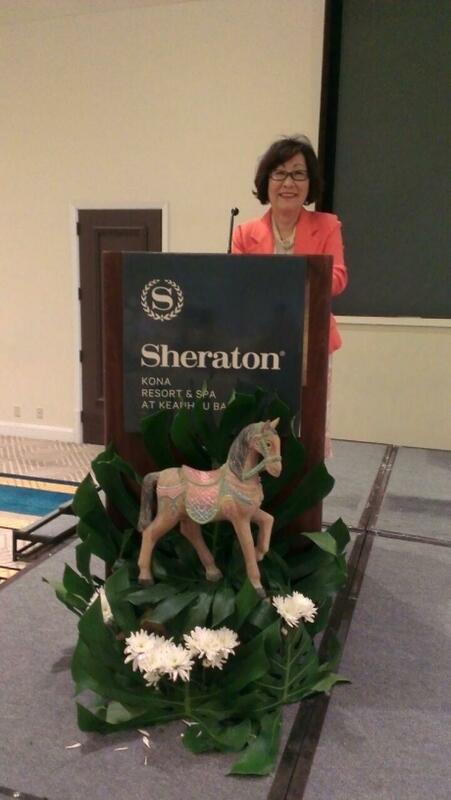 I’m back home in Sacramento after giving four keynote addresses on Oahu and Maui. Scheduled to return to Kona next fall. Thank you Hawaii for all your aloha and for sharing your insights and the changes you have made as caregivers during my address. I return each of the applause back to you. 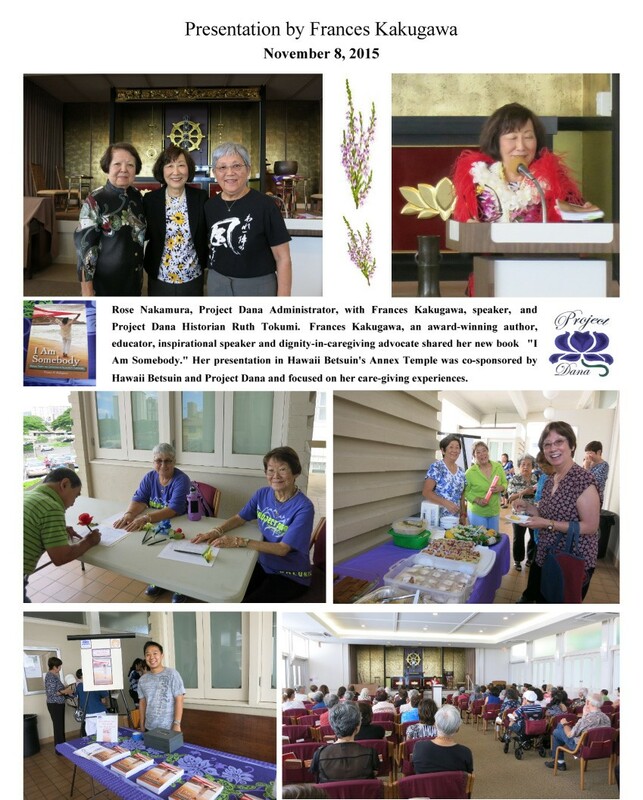 This past weekend, I spoke at the Honpa Hongwanji Betsuin, Honolulu. Bishop Eric Matsumoto and Alan Goto of Honpa Hongwanji, thank you for welcoming me home once again with orchid and white ginger flower leis. 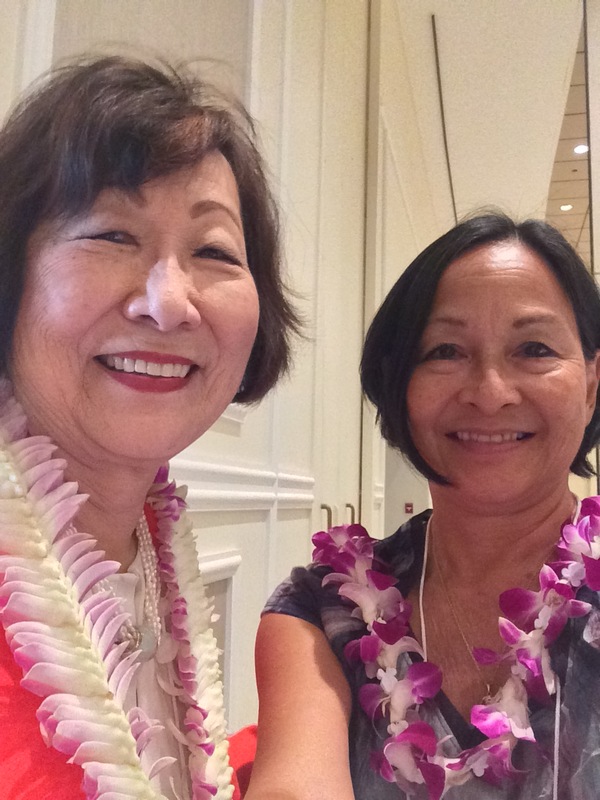 Rose Nakamura of the Dana program, thank you for your continued support of my work. It was another homecoming seeing a former first grader and her family. I had taught Renee Tanaka when I was 24 years old, 51 years ago. To former colleagues from my teaching years, to former Kapoho and Pahoa residents, to those who came to hear me for the second time in two weeks, and to all who filled the temple, my gratitude. I hope my presentation, “The Gift, Joy, and Legacy of Caregiving” and the many copies of I Am Somebody you purchased will be of help. Rose, I’m so pleased the support group I had suggested almost 15 years ago is still going strong.